I’m sure most of you enjoy popcorn – especially at the movies – which brings up the question, why is movie popcorn so much better than regular popcorn? I can only assume because they pump it full of chemicals and drizzle it in butter. But what about at home? Do you enjoy it then? My family is HUGE on popcorn, especially during the Leafs’ games. Even at the Leafs games in the ACC, first intermission, I always grab a tim hortons and bag of popcorn! And you know what’s so great about ACC/Leafs popcorn? THE DAY AFTER. Still not sure why. – where you furiously move it back and forth over the stove, until it looks like it’s about to BURST – even though you know it won’t. But remember the good ol’ days when your grandma used to stand over this? I sure do! There was nothing better than natural popped popcorn. Whenever my dad reads something on the internet, or sees it on TV, or one of his friends tells him something, he more or less believes it. Even if I told my dad the exact same thing weeks or months ago! Well he read up on microwaves, and how they are not good for you. I think in some way we all know microwaves are not good for you (even if you don’t believe it), come on… don’t you find it weird and scary that you can cook food in less than 5 minutes? Well, out the microwave went. It is now collecting dust somewhere in our basement. No more 2 minute reheats of last night’s dinner for us! Fast forward to Christmas, my sister and me are now on the hunt for Christmas presents for our mom and dad. My mom loves everything from Williams-Sonoma, and this was our first stop. It’s like they knew we were walking in, because right at the front was the Cuisinart Easy-Pop Electric Popcorn Make. Well, we were sold (perhaps it was because we hadn’t had popcorn since the summer). 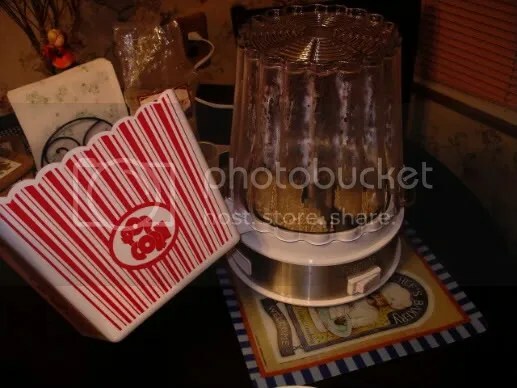 – A half cup of corn kernels produces ten cups of perfect popcorn within five minutes. – Requires less than a tablespoon of oil per batch. – Aluminum popping plate ensures even heat distribution. 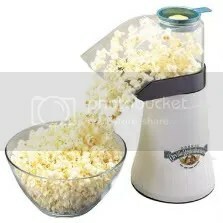 – Motorized stirring mechanism keeps kernels in constant motion for even popping without burning. – Vented to produce crispier popcorn. – Durable plastic lid has stay-cool handles and doubles as a serving bowl when vent cap is attached. – Includes vent cap, measuring cup and recipes. Microwave cooking is killing you! 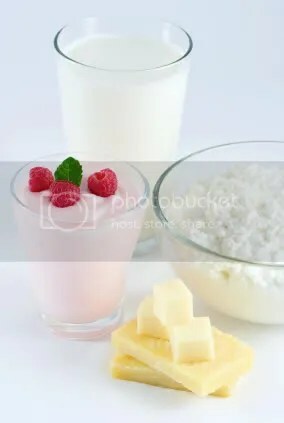 Low fat dairy products are full of vitamin A. This essential vitamin does wonders for our skin. If you have a thyroid problem or diabetes that’s another reason for you to stock up on organic law fat yogurts! I am talking about strawberries, blueberries and blackberries (No, not the phone!). These berries have a great antioxidant capacity which means – the more of these we have, the longer our skin will look youthful and healthy! Our skin needs essential fatty acids. If fish isn’t your thing (like salmon), try walnuts, flax seed or canola oil. All these will give you an amazing result! Omega 3 and Omega 6 may sound like a Sci-fi flick, but these fatty acids are a must for a beautiful, well moisturized skin. This drink contains polyphenols which have anti-inflammatory characteristics. And despite what they say, a good tea will not dehydrate your body, it will only work as an anti-oxidant and an anti-inflammatory agent that’ll keep bacteria at bay and will fight off those free radicals that make our skin age early. Did I even need to mention it? 🙂 Good hydration is our skin’s best friend, right? And I’m talking about good bottled or filtered water in its purest form and not sodas or energy drinks. So ensure that you’re getting at least 8 glasses of water a day for your beautiful skin. Avocado is rich in B-complex vitamins and essential oils and works like an anti-inflammatory agent. It also soothes skin that is red, irritated or blotchy. You can even mix it with yogurt and berries to add some flavour! Yum! I’m glad this one’s on the list. Lots of vitamin A is in store with this skin do-gooder! This fruit will repair your skin cells so that your skin doesn’t look flaky. It has only 70 calories per serving so it’s ideal for your weight loss program as well. Vitamin E helps to moisturize your skin from within. It also protects your skin from damage and premature aging. Eating almonds can help your facial tissue stay in its best shape for years! Apart from calcium, cottage cheese is great for selenium and it’s an essential mineral for a youthful, glowing skin, Ladies!